The health of your mouth reflects your overall health and wellbeing. Your dentist is checking for more than just cavities at your check-up. Below are a few things that your dentist can spot. 1) You are anaemic- Low iron levels often present in the mouth as pale gums, ulcers or sores in the corner of the mouth. 2) How well you are managing your diabetes – If your blood sugar levels are poorly controlled this can present as worsening of gum disease and even lead to gum abscesses. Also, poorly controlled diabetes can also lead to poor healing after dental treatment. 3) Stress- A lot of people clench and grind their teeth when under stress. Clenching and grinding leads to wear on your teeth and often soreness in the jaw and neck muscles. 4) Pregnancy- A common sign of pregnancy is gingivitis. So it is common to get increased swelling and bleeding of your gums if you are pregnant. 5) If you are suffering from Reflux- Acid Reflux shows up as wear on the inside surfaces of your teeth. 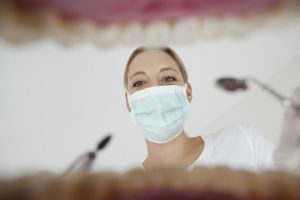 If this is an ongoing problem, your dentist can suggest ways to reduce the damage to your teeth. 6) Mouth cancer- Dentist’s can spot suspicious areas in your mouth or on x-rays. Some mouth cancers are secondary metastases from other cancers in the body. 7) If you are a smoker- Heavy smokers usually get tobacco stains on their teeth. Smokers also are more prone to gum disease. 8) Intestinal and auto-immune diseases- Diseases such as colitis often present as ulceration in the mouth. Some skin conditions also have characteristic lesions occur in the mouth. 9) Sinusitis- Sinusitis is an infection in the bone spaces (the sinus’) of your jaw, this often presents as a toothache or a cloudy sinus on an x-ray. 10) Dry mouth- a reduction in saliva produced is usually a side effect from medication but can also be a sign of certain gland diseases. If you have any concerns about anything unusual that you spot in your mouth, make an appointment at Ocean Breeze Dental 3/73 The Trak Arcade, The Terrace, Ocean Grove, to have one of our dentist’s check it out.